This Chickpeas sundal is one of the healthy recipe packed with loads of nutrients. 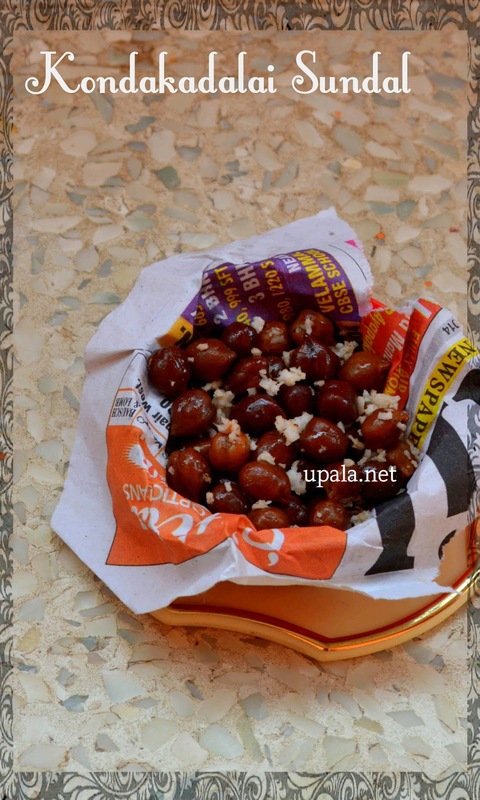 It gets a special place in the menus during Navrathri festival. 1) Soak the chickpeas overnight, drain water next day and pressure cook the chickpeas with 1/2 cup water and salt for 4 whistles. Chickpeas should be soft after pressure cooking, if its not soft try few more whistles. 2) Drain water from chick peas and keep aside. 3) Heat oil in a kadai and temper mustard seeds, then add red chilli, asafoetida and curry leaves to mix well. 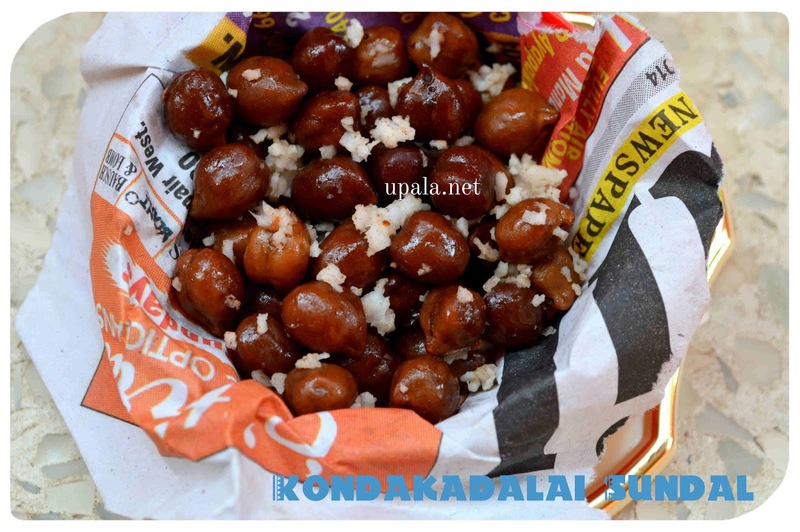 4) Add cooked chick peas to kadai and mix again. 5) Add grated coconut and fry for few secs and switch off the flame. 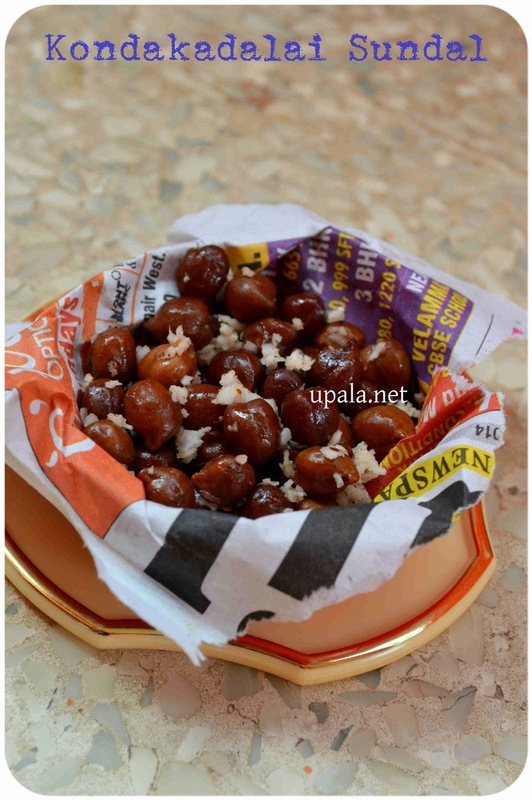 1) Instead of grating the coconut, you can chop coconut into small pieces of and add.